STAT ditches his Soldiers for classic Jordans. 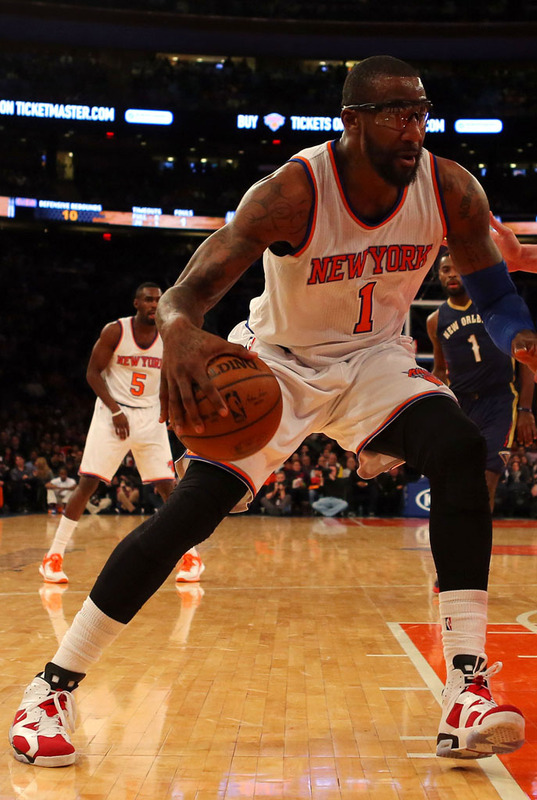 Usually laced up in personalized kicks from LeBron James' Nike Soldier line, New York Knicks forward Amar'e Stoudemire broke out a pair of Jordans for yesterday's game against the New Orleans Pelicans. Stoudemire gave the Knicks a lift off the bench in the 'Carmine' Air Jordan 6. He had 14 points, 6 rebounds and a block to help New York snap a 16-game losing streak.